Whether you’re dug out from yesterday’s blizzard or not, the weekend is here and that means beer. And the place to soak it up this weekend in Oshkosh is Gardina's Wine Bar & Cafe. Last week, they added six more taps, bringing their total to twelve. There’s been no drop off in quality. Each of the new lines is pouring the sort of high-end knee bucklers that’s been the Gardina’s leitmotif since they began tapping kegs last May. Here’s the inaugural flight of their dozen. Where the hell do you start? If you’re an Oshkosher who loves good beer, Gardina’s needs to be on your route. Check the latest Oshkosh Beer Garden column for more on what has turned into one of the best spots for great beer in our city. In the midst of today’s blizzard, here’s something we could all use: A bearded freak in red pajamas who cruises around town in a sleigh delivering cases of Peoples “high test” Holiday Brew. 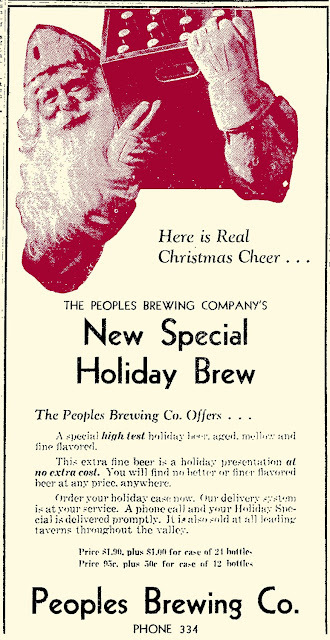 This ad is from December 1933 (originally b/w, now colorized to enhance your ogling pleasure) and hawks the first “strong” beer Peoples had produced in 16 years. When beer became legal again on April 7, 1933 brewers were limited to producing nothing stronger than 3.2%. With the repeal of Prohibition on December 5, 1933, the alcohol cap was doffed and Peoples was quick to take advantage of their new freedom. How strong was this “high test” beer? Can’t say for sure, but probably in the 5% range. Not exactly a towering brew by our standards, but it certainly beat the pants off that 3.2% stuff they’d been pumping out for the previous eight months. beer at any price, anywhere. Speaking of bubbles, how about adding a few bottles of Elk’s Head Beer to the mix. The Rahr’s suggest downing a case of their “old fashioned” suds to enhance your “health” and “cheer." Sounds good to me. 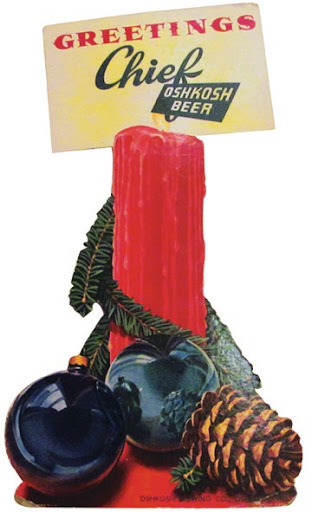 I have loads of holiday-season ads for beer in Oshkosh and I’m going to try and get some of them posted here in the next few days. This one goes out to all the Scrooges. It’s a bitchy note that appeared in the Oshkosh Daily Northwestern just before Christmas, 1904. What it boils down to is the brewing community here telling its customers to go to hell. Starting January 1, 1905, they were tacking on a returnable surcharge of 50¢ for delivery of pony kegs. Better yet, starting next year they had “decided to discontinue the distribution of beer or any other articles as Christmas present.” Bah! Humbug! This collective “piss-off” was aimed directly at Oshkosh’s saloonkeepers who were having a fine time playing the breweries against one another for the best deal on beer. And who are these irritated people? Fenn & Nachtrab, Fred Neumueller, John Sitter, and Robert Ihbe were all independent bottlers of beer in Oshkosh. The Oshkosh Brewing Company and Rahr Brewing were, of course, the two production breweries located here in 1904. Emil Thom was an agent for Schlitz. Pabst and Miller need no introduction. The inclusion of these last three is what really makes this ad interesting. It’s a rare example of the Milwaukee brewers and Oshkosh brewers working in concert. Sworn enemies united in their disdain for their customers. How’s that for a bit of the old Christmas spirit? A slanted and endless survey of what’s pouring in Oshkosh... tallied one two beers at a time. Why: Beers featuring the flavor and aroma of smoked malt often seem to divide drinkers of good brew into distinct camps. You either love ‘em or hate ‘em. Those who have had something like the Märzen rauchbier from Aecht Schlenkerla and found its meaty smokiness too aggressive, tend to get turned off from the style all together. 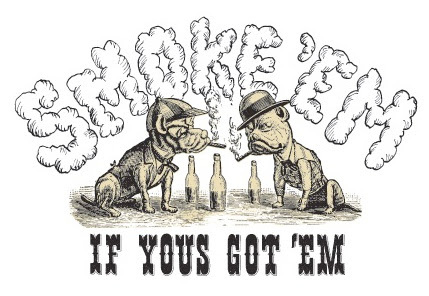 But smoked beers don’t have to be such an either/or proposition. There are now a couple pouring on tap at O’Marro’s that you might find more inviting, if you’ve found yourself on the hate ‘em side of the smoked-beer divide. 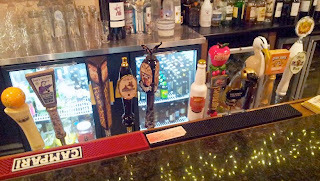 Pearl Street’s Smokin’ Hemp Porter and O’so’s Bamrique Smoked Lager are both currently on tap at O’Marro’s. Both are gently smoked beers with the smoky notes playing nicely with the other flavors. Smokin’ Hemp Porter is a medium bodied beer that’s toasty and roasty with just enough porkiness to keep the hard-core smoke lover interested. The hemp thing in the title is from the toasted Canadian hemp seeds they throw into the mash. Nice idea, but don’t throw away that secret brownie recipe. The Bamrique Smoke lager steps up the smoke a notch, but it’s still nowhere near too much. Body wise it’s similar to Smokin’ Hemp Porter, but this one has a tasty jerky-like spiciness that I really enjoyed. This is a fine beer. These would be great beers to drink side by side and then blend them when you get to the second half of each glass. No saying how long they’ll last. Get ‘em while the smoking lamp is lit. 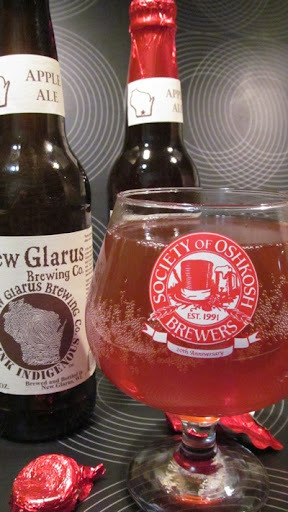 What: New Glarus’ Apple Ale returns to Oshkosh as a seasonal offering and it’s just begging to be adulterated. Where: You can pick up NG's Apple Ale at a few places around town, with Festival Foods and the Pick 'n Save stores being your best bets. The spiced rum used to fortify the beer can be found almost everywhere. Why: This is a fine beer in no need of enhancement, but hell, it’s the holiday season and getting damned cold to boot, so why not give it a boost and make the spirits a bit brighter. Now, the purists among us may cringe at what is about to come of this beer, but I can assure you, there’s a great, though mostly forgotten, tradition of mulled ale. It’s called Hotch Pot and they were drinking it in the colonies back when Jean Nicolet was paddling through here looking for a short cut to China and telling lies to Indians. Ahem. Here’s what you do: First, splash a jigger or two of spiced rum into a fancy glass. Now, heat your Apple Ale (we did ours in the microwave) until it’s nice and warm, but not too hot. Pour the warm Apple Ale into your fancy glass and watch the fizzy, little battle that ensues when ale meets rum. Drink. It’s good! First couple draws are a little strange, but as it settles it becomes quite nice. Like drinking an apple pie. After a cup or two of this, you’ll be just itching to go a-wassailing. Here’s something that would be nice to see more of. 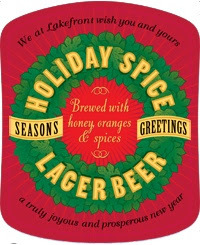 This Saturday (Dec. 15) at 7 p.m. at Dublin's Irish Pub, Lakefront Brewery will tap a firkin of its Holiday Spice Lager. A firkin is essentially an almost 11-gallon barrel of unpasteurized, unfiltered beer allowed to naturally carbonate in the cask. This is Real Beer, the sort that used to be served all over Oshkosh 150 years ago – before industrialization changed the way beer was conditioned and dispensed. These days, the firkin scene has become the province of ale brewers, but they were doing it in Oshkosh with lager for decades before filtering and forced carbonation became standard in the latter half of the 1800s. This is an excellent chance to get a taste of true lager beer, with all its inherent flavors still intact. I like seeing this! Dublin’s has quite a bit going on at the moment. Right now, they have a spate of good winter brews pouring (you can check out their current tap line-up HERE) and coming soon to the pub are a bunch of choice brews including Weyerbacher’s Quad and Southern Tier’s Jahva. These are double-digit ABV beers that’ll keep you nice and toasty as we descend into the dark season. Then there’s this: for a couple months now, Dublin’s has been posting short videos that feature some background info and tasting notes about one of the beers they’re currently pouring. Good stuff for making you thirsty. Here’s the new one. Check out Dublin's YouTube page to subscribe to the stream. 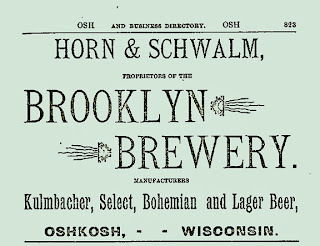 Here’s a deceptively simple ad for Horn & Schwalm’s Brooklyn Brewery* swiped from the 1891-1892 Wisconsin State Gazetteer. It doesn’t look like much, but what this piece lacks in flash, it makes up for in unadulterated geek allure. 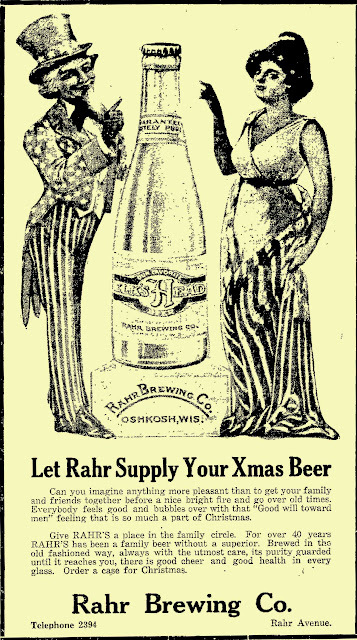 Here’s why: Horn & Schwalm’s ads were typically skinny on details about the beer they were pumping out. Sure, it was all lager beer, but what kind of lager beer? Well, this number adds a bit of focus to that blurry portion of the brewery’s past. They’re saying here that they have four beers on the market. 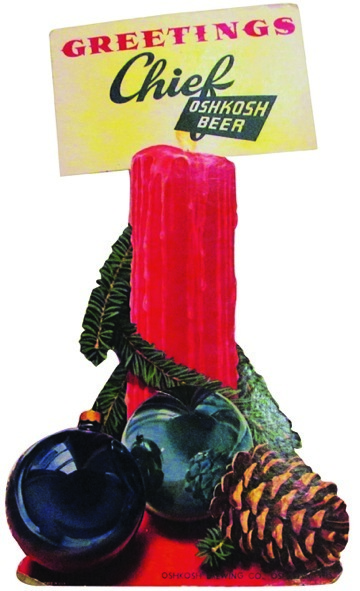 Actually, we know they produced at least one other beer during this period; a wheat beer named Edelweiss. Of the quartet listed, specifics are lacking about what constituted the brewery’s Select and Lager Beer. In all likelihood, Select was their premium brew, a pale and light-bodied lager targeted towards consumers of bottled beer. The Lager Beer would be their saloon beer, a darker and richer brew that was unpasteurized and dispensed on draught from barrels made of white oak. The naming of the other two beers is more informative. It was common during this time for regional lager brewers to identify their various brews by place. In good, old Oshkosh, we were still pasting the names of European real estate on our beer. Nobody around here needed to have it explained to them what those names implied. When you asked for Horn & Schwalm’s Bohemian Beer you knew you’d be getting their Pilsner, a somewhat hoppy, golden lager. It might have tasted something like New Glarus’ recent seasonal Hometown Blonde. The Kulmbacher is the one that grabs me. This is the only Horn & Schwalm ad I’ve seen that mentions this beer. It would have been a dark, malty, lager (a Schwarzbier) along the lines of Mönchshof or Köstritzer... or maybe even Leinenkugel's Creamy Dark (if the brewer had a bad day). I’ll bet it was lovely. Just the thought of it makes me thirsty. *Horn & Schwalm’s Brooklyn Brewery was established in 1866 by Leonhardt Schwalm and August Horn. Located in Oshkosh on east side of Doty, just south of 16th, the brewery merged with two other Oshkosh breweries in 1894 to form the Oshkosh Brewing Company. 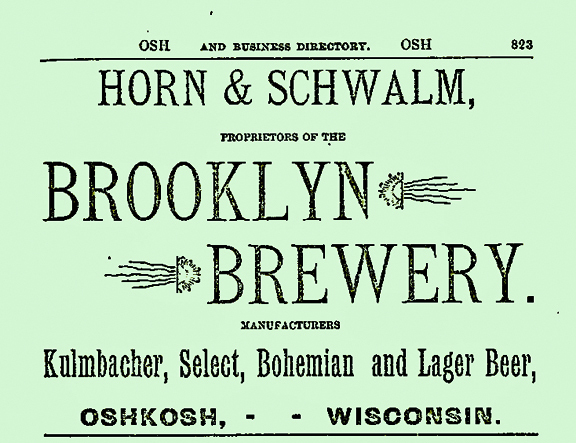 For the complete story of the Horn & Schwalm’s Brewery, check out The Breweries of Oshkosh. If you need a more immediate fix on the brewery, check out the Oshkosh Beer Timeline, where you’ll find links to a number of stories about the brewery. The start of a slanted and endless survey of what’s pouring in Oshkosh... tallied one beer at a time. Thought I ought to kick this series of posts off with something big, so here's a dominating, beast of a beer that's huge in every respect. 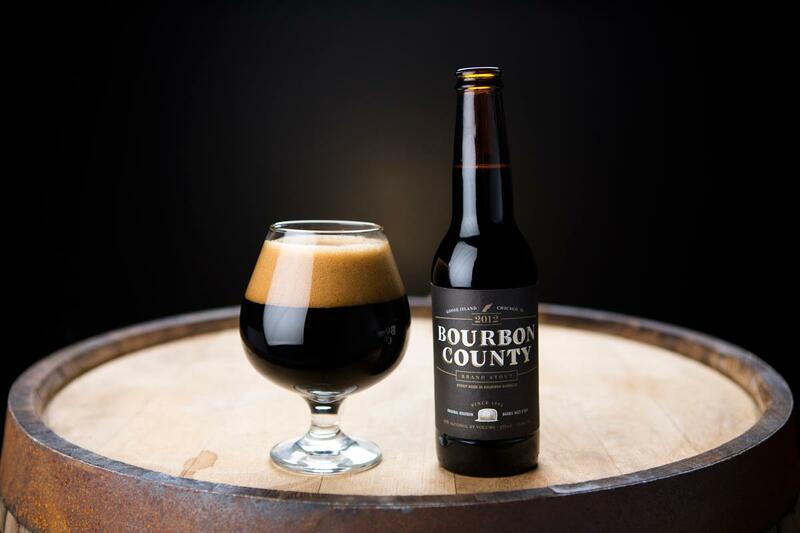 What: Goose Island’s Bourbon County Brand Stout on draught. An Imperial Stout, aged in bourbon barrels that delivers a whopping 15% ABV . Where: For a limited time at Gardina’s Wine Bar & Cafe, 448 N Main St., Oshkosh. Why: It’s one of those rare beers that leaves you in awe. A penultimate geek brew that every beer lover ought to try at least once in his or her lifetime. It pours black as pitch with a boozy, smoky aroma. The mouth feel is thick and coating. The flavors evolve from vanilla to caramel to coffee to bourbon... and that’s just the start. Take your time with this beer. Get comfortable, sit it and let it grow warm. It’s a sipper that you can easily spend a happy hour with. But get it while you can, this beer won’t last long. Speaking of Gardina’s, the new Oshkosh SCENE has just hit the streets. In it, you’ll find my Oshkosh Beer Garden column and this time it’s all about Adam Carlson and the incredible beer selection he’s bringing in at Gardina’s. If you haven’t checked out Gardina’s yet, you ought to remedy that; you’re missing some great beers. Time, once again, for the best beer deal in town. 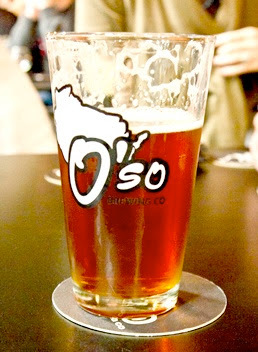 Wednesday night, Barley & Hops continues its terrific beer sampling series by bringing in O’so Brewing from lovely Plover, Wis. The advance ticket price of $15 is unbeatable and will give you the opportunity to dip into some of O’so’s more obscure suds. You’d never know it by what our local retailers stock, but O’so has been turning out scads of adventurous brews lately. Check out this list at RateBeer to see what we’ve been missing. Some of these brews will almost certainly be pouring on Wednesday night. In addition to the beer from O’so, there’ll be about 40 other beers to try along with a good sampling of wines and spirits. No funny stuff, here, everything is included with the price of the ticket. The event runs from 7:00-10:00 p.m. and if you can’t get your tickets in advance you can get them at the door for $20. For more info, check out the Barley's Beer Sampling Facebook page HERE.